FilConn's Ruggedized RJ45 Conversion Connector offers the only option in converting the standard commercial industry interface to a Mil-spec quality design. 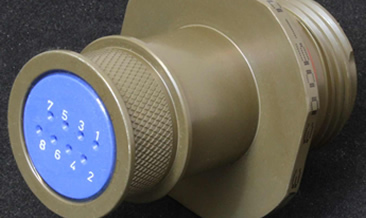 No other product offers you the durability of Mil-standard crimp contact assembly to carry your Ethernet signal across any platform and still provides a commercial interface. With our one piece integrated banding platform design it also allows you to properly shield your cable to meet both EMI and environmental requirements.